Fun activity for food vocabulary connecting with cooking. 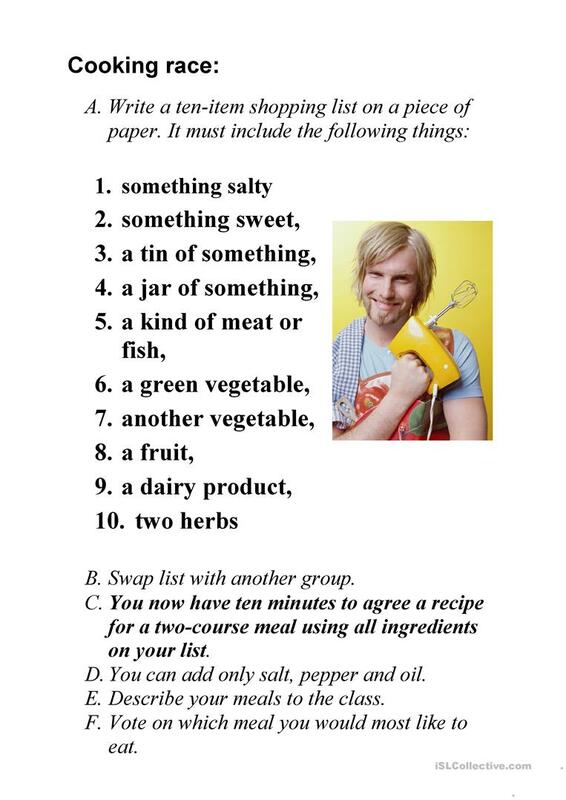 Students make list of ingredients then prepare a meal. Tips and explanation for the task included. It might be used with OHP. This printable, downloadable handout is intended for high school students, elementary school students and adults at Elementary (A1), Pre-intermediate (A2), Intermediate (B1) and Upper-intermediate (B2) level. It can be used for working on your pupils' Listening, Speaking and Reading skills. It focuses on the topic and words of Food.